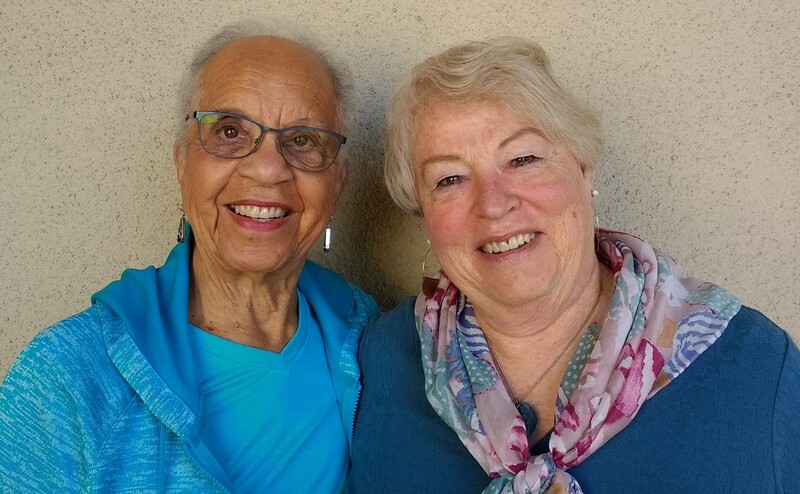 “Its all about connections and possibilities,” says Holly Brownscombe, who co-chairs Ashby Village’s Volunteer Placement Team with her friend, Gloria Bayne. Well-trained, qualified volunteers are the engine that drives Ashby Village’s wide range of services to members, including social and cultural events, healthy living activities, care teams, communications, and a burgeoning program inspired by new ideas generated by members. The Volunteer Placement Team connects volunteers to assignments that use their talents; and new possibilities keep developing. Volunteers include Village members, prospective members who want to get to know Ashby Village better, college students, people returning to school or considering a new occupation, retired folks and people who have an expertise they want to put to good use through community volunteering. You don’t need a car to be a volunteer, since driving members who can no longer drive themselves is only one of the very-appreciated services that volunteers provide. They also assist with events, provide computer support, help in the office, gather and analyze data, write grants, create information brochures and packets, garden, handyperson, make social calls, walk dogs, provide information at street fairs, work on the Ashby Village Facebook pages, help with the newsletter and website, take photos, make video recordings, and serve as Med Pals accompanying members to medical visits. Co-chair Holly Brownscombe, semi-retired from a career in Human Resources, put her skills to good use when she took on Ashby Village’s Volunteer Placement assignment. Holly’s first placement was a co-chair, her friend Gloria Bayne, who also has a background in Human Resources. If you are interested in volunteering, click the link for a Volunteer Application. After reference checks you will be interviewed and ready to attend the next available training. The next training is scheduled for Oct 21st 8:30-1, at the Ashby Village Office.